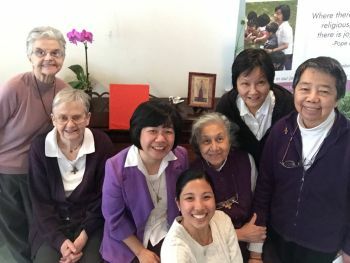 The Assumption community in West Philadelphia is as multi-cultural as the city we call home, with Sisters hailing from the U.S., Latin America, Europe and Asia. So we work interculturally in whatever we do, whether that’s ministering to the diverse parishioners of St. Francis de Sales in University City, or working with both local African-American parishioners and the Filipino community drawn from all over the archdiocese at the church of Our Lady of Hope in North Philly. The Hispanic community, centered in the Cathedral, with many youngsters in the local Catholic high school, is also an important part of our life. Our involvement with immigrants sends us out to do pastoral ministry, to teach English as a Second Language, and to spread the Good News in many other -- often surprising -- ways. An outreach to those living with mental and emotional health issues is another way that we connect with the life of our people. In the neighborhood, our community aspires to be a monastery in the city - a center of prayer and spirituality, of friendship and hospitality. 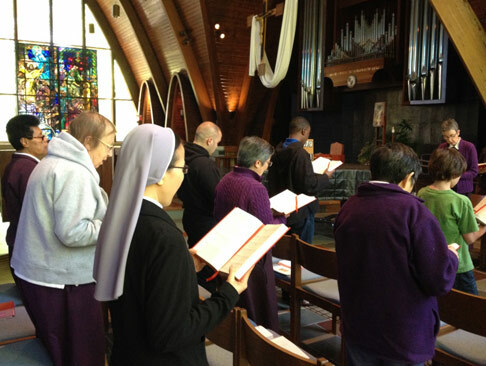 People gather at the convent for the Ignatian Spiritual Exercises, as well as for meetings of the Friends of the Assumption, a young adults’ group, Taizé prayer, a crafts circle and a book club. Our insertion in a multicultural neighborhood and our proximity to two universities also bring contacts and collaboration with those of other faiths or of no faith; the richness of our interactions contributes, we believe, to the life of the entire local community. Finally, having the office of AMA (Assumption Mission Associates) in our house allows us to keep in touch with the activities and work of our lay volunteers. Our multicultural, intergenerational Lansdale community feels called to live the mission of HOSPITALITY. We reach out to all seeking to grow in their relationship with God, by offering friendship and providing time and space for prayer and conversation. Friends are always welcome to share our prayer life, especially our daily celebration of the Divine Office and Eucharistic adoration; we love to have them around our table as well. We host different groups: Scripture sharing, Taizé prayer, “Purple friends” (former volunteers and young adults) and we participate in the life of St. Stanislaus Kostka parish. Our ministries send us out to many different people with different needs; they include chaplaincy at the local hospital, outreach to the Vietnamese community (education, religious formation, social outreach) and support of the Filipino community in the greater Philadelphia area. Our community is also happy to provide a place for the meetings of our Province and to host the Provincial finance office. Worcester is home to the Assumption Center. Working out of the Center, in collaboration with St. Peter’s Church, we Sisters and our host of volunteers minister to the diverse community of immigrants and refugees who continue to crowd into the old three-decker houses so common in this city. To answer a crying need for the adults who’ve had to uproot themselves from homes, cultures, and languages to provide a better life for their children, we offer classes for English as a Second Language. Meanwhile, our mentoring and reading programs provide after-school tutoring help to the children. At the Center itself, the project we call “Girls With Dreams” offers time and space for girls between the ages of 11 and 14 to discover their voices and “just be themselves” (to quote one participant), through different types of crafts, skill-building experiences, guest visits, and just plain old fun. A mini- camp for Vietnamese-American children is also offered in the summer. In addition to providing space for the Kate O'Neill Library -- a lending library of spiritual books – and our "Semillas de Vida" or "Seeds of Life" community organic garden, Assumption Center is home to the Cana Community, a group of young adults, some working professionals and our lay volunteers, the Assumption Mission Associates (AMA). We count ourselves very blessed to have such generous and committed young people in our midst; they add creativity, sparkle and fun to our life! Like all Assumption communities, our ministry depends on our contemplative life of prayer. For us, this means sharing daily in Morning and Evening Prayer as well as the Eucharist with our brother Assumptionists at Assumption College, but it also means opening our weekly Lectio Divina to all comers during Advent and Lent at “Soup and Scripture” gatherings. Every afternoon, we welcome anyone who’d like to join us for some time of Eucharistic adoration in our small but beautiful chapel. Finally, Worcester is both the provincial house and the formation community. This means that we have the responsibility and the privilege of offering welcome and guidance to newcomers seeking to discern their vocation to religious life with us. 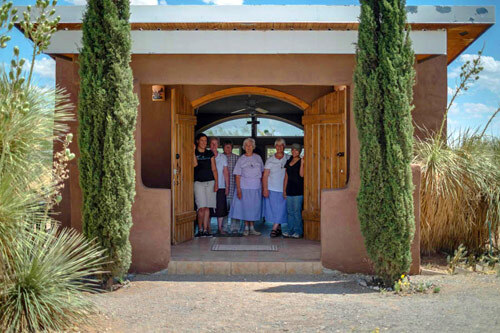 Near the Border between the U.S. and Mexico, in the Diocese of Las Cruces, New Mexico, the mission of our community is to the people of Chaparral. Over the years, the trust that has grown up between the sisters and the local people has allowed us to accompany immigrant families of this colonia (an unincorporated town) in many different ways. We offer educational and recreational programs for children and youth, with an eye to helping them develop leadership skills and a culture of community service. During the summer we welcome groups from other parts of the country and Mexico for three or four weeks of camps; in addition to all the fun, these groups get a chance to learn about the realities of life on the Border. Along with other regional organizations, we advocate for immigrant rights. Other ministries we offer are: teaching English as a Second Language at the Community College, working with teams of lay people to provide spiritual accompaniment at the local detention center and processing center (from which thousands of men are deported each year), contributing to the faith formation of children and catechists as well as other parishioners through Scripture classes. Our charism of education extends to the many college immersion groups, sponsored by Annunciation House and Border Servant Corps, who come to visit our house; we try to help these young people understand more about both the joys and sorrows of daily life in an immigrant community. Together with our lay friends we believe that we’re helping to build the Church described by Pope Francis as most needed today: a Church that heals wounds and warms the hearts of the faithful. A Church marked by nearness and proximity in the midst of the many sufferings of the marginalized. We take our responsibility to pray for the intentions of our people seriously, and we know that they count on our prayer. 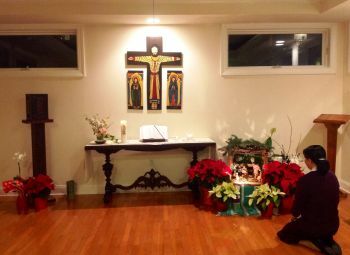 Our chapel, open 24/7, also gives our neighbors a quiet place to pray in silence and to just rest before the Lord. 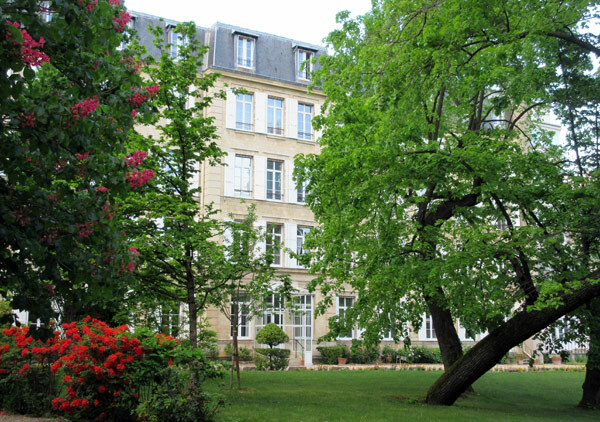 Our International headquarters the "Generalate" is located in the Mother House in Paris, France. Our Superior General and her Council live there. 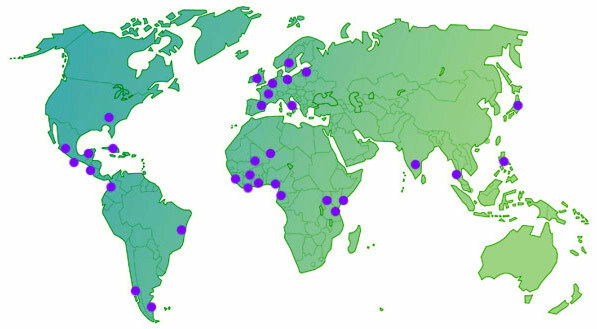 The Congregation is divided into Provinces. Each province is a geographical and administrative entity that covers one or several countries. The provinces are headed by a Provincial and her council. The communities are the local groups of Assumption sisters inside a given province. The Assumption Sisters first came to the U.S. in 1919. That year we opened a boarding school for girls in Philadelphia: Ravenhill Academy. Later, we were invited to open a school in Miami, and to staff a school in Bay Comeau, Quebec. Although our own schools closed in the 1970s, our mission continues: to effect change in society through prayer and education in the four communities of the United States Province. All that we do is marked by the spirit of our Rule of Life, our General Chapter documents, and our own Provincial Project. Through all of our apostolic outreach, we pursue a practice of biblical hospitality, characterized by showing love and appreciation for all around us: strangers, immigrants, and those in need.